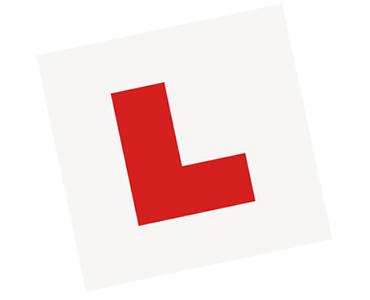 Driving lessons in Sheffield and Dronfield (Post Codes S1, S2, S6, S7, S8, S10, S11, S17, S18 and S19). Hello. 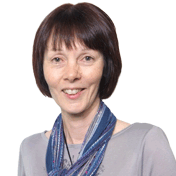 My name is Karen Bannister and I am a fully qualified Government Approved driving instructor with over 15 years experience, and provide intensive and semi-intensive driving courses as well as individual driving lessons using the unique LD System of driving tuition. I normally cover any of the locations listed plus the surrounding areas. Why not contact me now for a FREE home visit? 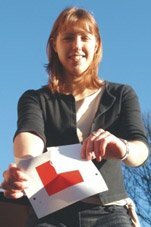 I am also a registered Driving Standards Agency (DVSA) driving instructor tutor, and work with the LDC training team to provide first class coaching for trainee and newly qualified instructors. 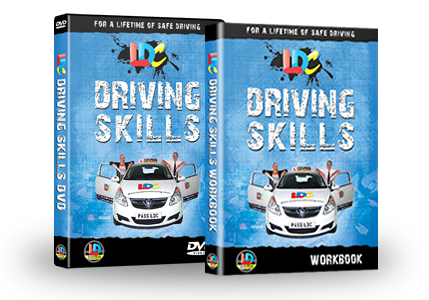 If you are interested in a rewarding new career as a driving instructor, find out what LDC can offer you. I hold the Pearson SRF BTEC Level 4 Professional Award in Coaching for Driver Development. This means that you receive my training using modern client-centred techniques to help you develop into a safe, confident and self-reliant driver who takes an active role in their learning. Compared to "one-size-fits-all" traditional fault-based instruction, my methods and the LD System will enable you to achieve rapid development towards your driving goals using your preferred style in a supportive environment. If you are looking for a driving instructor who can help you specifically deal with those frustrating test nerves which have held you back in the past, I am a fully qualified clinical hypnotherapist and stress manager. Maybe you are a qualified driver, yet feeling held back from the freedom driving can bring because of fears or phobias? As a member of the National Council for Hypnotherapy (NCH), I adhere to their strict Code of Ethics and Conduct to give you peace of mind and a fully professional service. I operate my tuition business under the LDC franchise, which means I am governed by LDC’s stringent customer care and tuition standards, plus I am proficient in delivering the LD System of driving tuition. I have also chosen to be governed by the DVSA’s (part of the Department of Transport) voluntary Code of Conduct. As an LDC driving school, I can also offer LDC’s state-of-the-art driver training products for the UK theory, hazard perception and practical driving test. Included in these products are the UK’s best selling Theory Test DVD-ROM software and the number one DVD-ROM software Driving Test Complete (as reviewed by Auto Express magazine). This is an opportunity for you to meet me to discuss your driving requirements in advance of any tuition without obligation. You can look through the unique LD System materials in the comfort of your own home, and ask me any questions relating to your personal driving goals. I will also check your licence and eyesight and complete any necessary paperwork* - all saving time on your first lesson if you decide to proceed. Feel free to involve parents or partners at this time, as they often wish to support the process of your new venture. They may have questions of their own that they want to ask me - particularly if they are intending to pay for you! *If you are under 18 years old, a parent/guardian will be required to sign this for you. To book a home visit, contact me. So if you are interested in taking driving lessons or an intensive driving crash course in Sheffield, Dronfield (Post Codes S2, S6-S14, S17-S19) and the surrounding areas and want to know more please contact me.